This year’s conference will be held in Vail, CO, October 2 and 3. The state biotech associations from CA, CO, AZ, MT, UT, as well as NMBio, are bringing together leading investors, emerging companies and senior executives to cultivate partnerships within our industry. The Rocky Mountain region is the largest and most advanced bioscience area between both coasts, with Colorado ranking in the top 10 among states for venture capital investment in the life sciences. It is a rolling application process, and applications will be accepted until the July 28. The first round has closed. The second round closes on June 7. Companies are encouraged to apply early for consideration and will be notified of their presenting status no later than August 4. There is no charge to apply. In the interest of full disclosure, I’m participating on the selection committee so do NM and yourself proud and apply. Also, I’d like to encourage our members and community partners that are angel investors to attend and help brand NM as an emerging center for the biosciences. 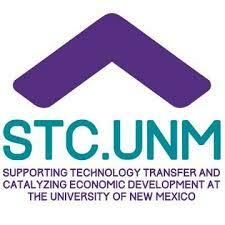 Lisa Kuuttila, our distinguished chair as well as CEO & Chief Economic Development Officer of STC-UNM and founder of Innovate New Mexico, will lead us on a tour the new facility from 4 to 6 pm, Tuesday, August 29. The building is the first that’s nearing completion at the core site for the Innovate ABQ district. The six-story, mixed use building includes offices for start-ups and staff, a fabrication lab, large and small conference rooms and huddle spaces, classrooms and collaboration space. Support areas include a café, bike storage room, a fitness facility, and an elevated second-level outside deck overlooking a west-facing courtyard. 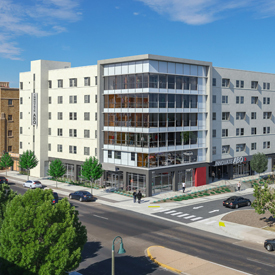 The east end of the building, floors 2-6, will house the UNM Innovation Academy for students. In addition to the tour, you’ll have the opportunity to meet our new board members — Darlene Harbour, President, Lovelace Scientific Resources; Thomas Kieft, Chair, Interdisciplinary Doctoral Program in Biotechnology, New Mexico Tech; and Estella Hernandez, Managing Director, Arrowhead Innovation Fund GP, Inc. — as well as some that have served the association for up to a decade. While socializing, you’ll be able to enjoy hors d’oeuvres, sip wine and savor craft beer. This is a speech free event. 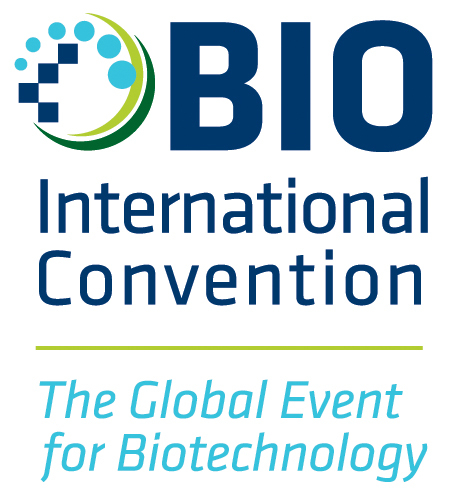 Beyond the expected 16,000 attendees and 2,200 companies from 76 nations, BIO 2017 will host more than 1,800 exhibitors. We will be hosting an NM Pavilion that includes five of our members that qualified for federal grant assistance administered by the state’s International Trade Office. The lucky five are: Agilvax, Sandia Biotech, Active Clean, AE Gorsuch Designs and Imagion Biosystems. The state’s Edward Herrera, Judi Sandoval and Julia Wise were extremely helpful with the application process. The exhibit floor will feature product focus zones including the Innovation Zone, Digital Health Zone, Start-Up Stadium and BIO Talent Connect. If you are attending the conference, please stop by Booth 4529 to say hello to your fellow bioscience colleagues and receive a special treat. In addition to our member companies displaying and discussing their products and services, we will be displaying promotional material and fact sheets from our members and community partners, including New Mexico Economic Development Department, STC-UNM, the City of Albuquerque, Albuquerque Economic Development, Inc., UNM-HSC, Arrowhead Park and the Arrowhead Center incubator and many others. In the spirit of collaboration, we’ll also be displaying promotional materials from the Department of Tourism. We’ll also display marketing materials of NMBio members that can’t attend; limit 50 copies. You can forward them to my attention at NMBio, P.O. Box 31516, Santa Fe, NM 87594. One final request: We are seeking a few donated items that we can display and give away at a Wednesday night raffle. Ideally, the items will reflect the culture of NM. If you have an item for consideration, contact me directly. The MedTech Conference, powered by AdvaMed, is the leading gathering in North America of global medtech executives with regulatory, reimbursement, business development, legal, IP, marketing, quality, compliance, HR and other key responsibilities. Along with industry leaders, the international conference attracts business development professionals, investors, policy-makers, members of the media, legal experts, consultants, distributors, and other important stakeholders. More than 2,500 attendees will network, conduct business, gain access to capital and share insights in San Jose, Calif. from September 25-27. The conference also features world-class plenary speakers, networking, and business development opportunities. Visit: www.themedtechconference.com to learn more and to register. As a member of NMBio you can save 15% on your registration by using the code SPO17! The early bird registration runs through July 2. Be sure to secure your spot by then to save $600 in addition to the 15% discount with SPO17. Finally, if you interested in attending or exhibiting at the show in an NM Pavilion, please contact me my June 5. If there’s enough interest, we’ll consider organizing an exhibit booth for the event. Members have enjoyed significant discounts on their lab purchases from VWR for many years. Now, for firms that choose not to buy new, we have ALT. Under the BIO Business Solutions program, LAT is offering discounts on lab asset management services and purchases of premium refurbished equipment. In addition, ALT purchases good quality, used equipment. Request your copy of BIO’s newest report now, and receive it via email once it is released. More than 90% of our industry is made up of small companies. This report captures stats for companies with less than a $1 billion in sales and covers six main areas: venture funding, public investment (IPOs and follow-ons), licensing, M&A, and the clinical pipeline (partnered vs. partnered). We wanted to make sure you have the opportunity to see a free FDA web tutorial for IND Sponsors on communicating with the FDA. It’s worth a look: http://www.accessdata.fda.gov/cder/ind_sponsors/ind_scripts/index.htm. On Friday the House Ways & Means Committee held a hearing on “How Tax Reform Will Grow Our Economy and Create Jobs”. AdvaMed Accel is finalizing a statement to submit to the committee record highlighting the importance of addressing small, pre-revenue companies in tax reform, and outlining our proposal for an angel investor tax credit. The Biotechnology Innovation Organization (BIO) announced registration and housing are now open for the 2017 World Congress on Industrial Biotechnology. The conference will be held July 23-26, 2017, at the Palais des congres de Montreal in Montreal. Register now. I’ll see you next week at Dr. Gill’s presentation.